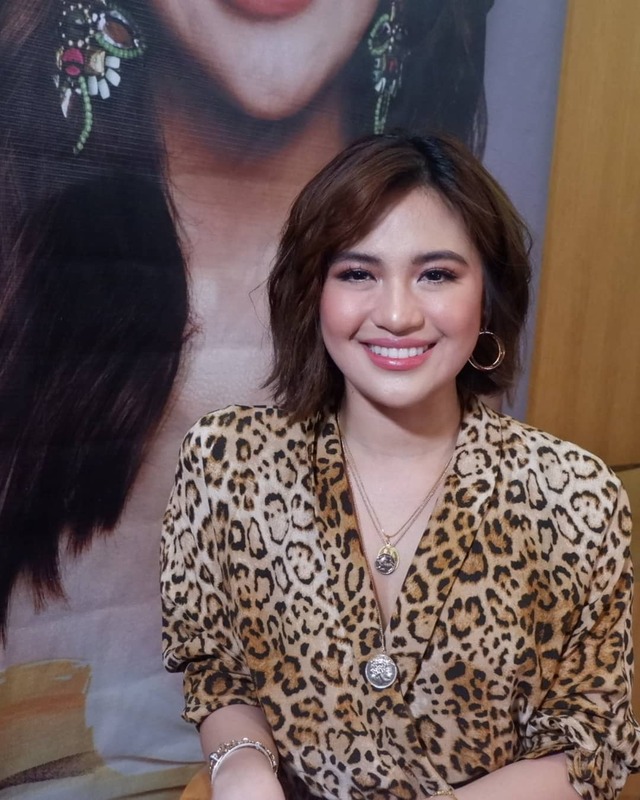 After a whole year of breakthroughs and achievements, Julie Anne San Jose has renewed her recording contract with Universal Records Philippines. Present during the signing were Julie, Universal Records Managing Director Kathleen Dy-Go, Universal Records Operations Manager Peter Chan and GMA-7 Business Manager Gigi Santiago-Lara. Julie first joined the record label in 2017, expressing her intentions to explore a new sound for her music. And a new sound she did find, with the release of 'Breakthrough,' her debut release under the label. Widely known for her power ballads, Julie showed a different side of herself with tracks that were leaning more towards an R&B sound. Not only did she break through with her sound, but also with the amount of success the album has received - prior to the album's release, its singles already garnered various achievements, with her singles 'Nothing Left' and 'Tayong Dalawa' (penned by the songstress herself) making it to the top of the iTunes Philippines all-genre chart. Her lovely rendition of the Parokya ni Edgar hit 'Your Song (My One and Only) also made waves, garnering almost 7 million streams on Spotify and 16 million views for the Wish FM performance on YouTube. Furthermore, music video for 'Down For Me' her collaboration with singer/songwriter/producer Fern., was a constant chart-topper on MYX. Finally, the album itself was #1 on the iTunes Philippines chart for one whole week, adding cherry on top of all these achievements. Other than her album, Julie has also proved to be successful in other aspects of her career - which includes top-billing the drama musical My Guitar Princess, voicing a character on the first-ever Filipino anime Barangay 143, being a mainstay on the hit variety show Studio 7, receiving the Wishclusive Elite Circle Bronze Award for the Wish Music Awards, the German Moreno Youth Achievement Award in the 2018 FAMAS, among all other nominations and recognitions. Asked about her plans for the coming year, Julie is certainly excited for what 2019 will bring for her in Universal Records. Julie's debut album under Universal Records is now available on iTunes, Apple Music, Spotify, Deezer, and Amazon. Watch out for new music this coming year.